Jungle Gems™Pagoda Green glaze adds a lot of character to your bisque piece. This color has beautiful greens and browns perfect for a earth toned piece! Crystal glazes were designed to mature at cone 06/05. Apply to shelf cone 04 bisque. Shake jar well and stir during the application process. Apply 3 coats with a fan brush, allow to dry between coats. Avoid placing crystals towards bottom of ware to keep them from flowing onto the kiln shelf during firing. Crystal Glazes can be fired to higher temperatures. The crystals in the glaze will melt when fired, which may create a textured surface. As that surface may be difficult to properly clean if in contact with food, we recommend crystal glazes to be used on decorative ware. 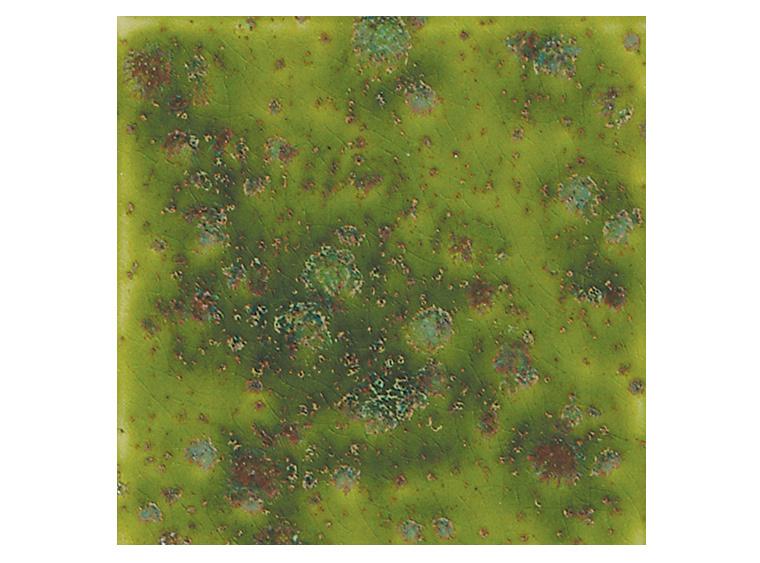 Jungle Gems™and Crystalites™glazes are certified AP® nontoxic.